The "Google’s" Pixel and "Pixel XL" smartphones are the first to ship with a new set of disk partitions designed to make it possible to download and install system updates in the background (and safely roll back an update if there are problems installing it). But the new partition layout, along with some other changes in Android 7.1, mean that existing methods for rooting an Android device don’t work with the Android device don’t work with the Pixel Phones. found at least one method for doing it. Update : And now it looks like it should be ready for release to the public within a few days. "Update" Chainfire has achieved systemless root without affecting the system partition. 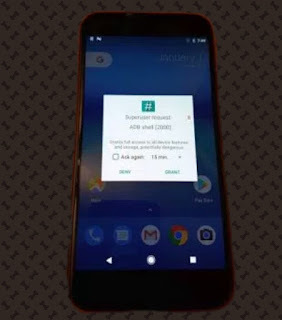 "Google Nexus devices have long been some of the easiest to root, at least in part because they tend to have unlockable bootloaders", which makes it easier to flash custom firmware. But the Google Pixel phones mark a number of first for Google, which means that existing root methods do not work, which is why developers like Chain-fire are looking for new methods.